Courtesy of Surface SITREP, published by the Surface Navy Association (www.navysna.org). Edward H. Lundquist: What is your current job and your capacity here with NATO SeaSparrow? Capt. Stein Haavard Bergstad: I’m Captain Stein Haavard Bergstad of the Norwegian Navy, and I work for the Norwegian Defense Military Agency as head of the project department of the naval systems. That means that I am responsible for all the projects to the navy and most of the projects for the Special Forces, both new and existing projects. In the naval systems we have about 40 to 50 ongoing projects, from small to big, and some are multi-national efforts, such as our submarine project with Germany. The NATO Sea Sparrow missile program is a quite large project for us. I’ve been aboard one of your Skjold-class missile patrol boats. We are quite proud of them. We have also developed mine hunters, which also is all-composite surface effect ships based on the same principle. 80 percent of the ship is carried on an air cushion. For the mine hunters, the air cushion helps to reduce the shock from the explosion of mines, and for the Skjold-class patrol boats, it’s to reduce the resistance in the water. So they use the same concept to achieve different performance. Has Norway been a member of the consortium for a long time? Yes. From the beginning. Because we are the northern flank of NATO and we face a possible significant threat from the east we decided we needed a good air defense system. Today you have Aegis frigates. 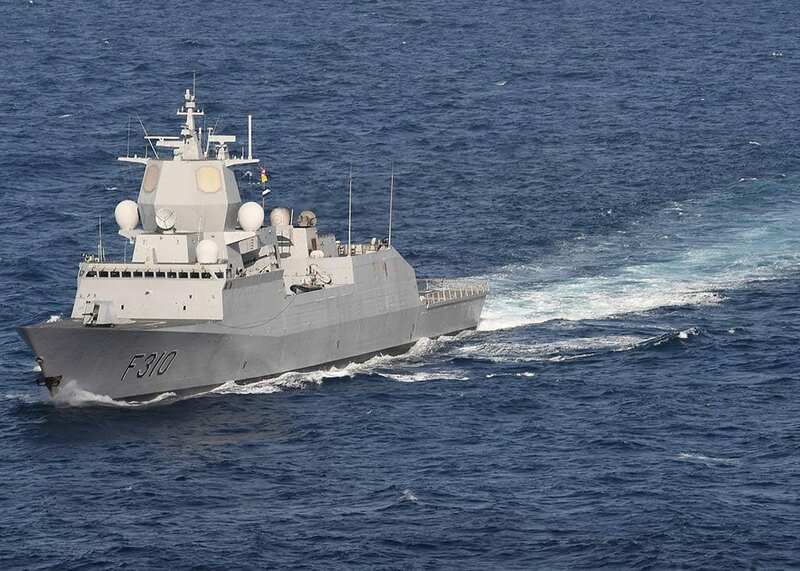 Yes, we have five Fridtjof Nansen-class frigates and they are armed with the ESSM missile. We previously had the RIM-7 SeaSparrow on our Oslo-class frigates, which have all been decommissioned. Are you participating in the Block 2 development? Yes, Nammo developed the rocked motor to the ESSM, and produce the rocket motor for Block II, which has opened the door to new markets for Norwegian industry. For example, NAMMO is now building a new factory in U.S. So what are some of the examples of the other work that has come your way because of participation? You mentioned other markets. Kongsberg Defense Aerospace has developed parts of the original fire control system and computers, and are now developing the combat management system for our new submarines. Kongsberg also developed produced the new Naval Strike Missile, which we have on our frigates and patrol boats, and there are several other nations that are very interested in this missile, including the U.S.
How would you explain the NATO Sea Sparrow consortium to someone who is not familiar with it? It isn’t simply a program where the countries get to buy the system, they get to produce it. I think a keystones to the program is that nations that are committed to the program have workshare for their industry. But on the other hand, the work share must not reduce performance or increase cost. There has to be a very good balance between work share and the performance. We also get access to a missile we probably could make ourselves, but at a much higher cost. For a small nation like Norway, to have access to a high-performance system like ESSM is very important. Just how closely do the nations work together? Bergstad: For Norway, we describe this as a common NATO project with the U.S. as project manager. We abide by U.S. procurement rules and there is a U.S. prime. But all participating nations are equal. Each nation has its own interests and political considerations. If all nations not are equal anymore, it can be problematic to go on like a consortium. Are you an engineering representative or a diplomat? I’m engineering representative, but I have to balance it. By each of the nations being able to balancing their interests we have been able to be a successful consortium for 50 years. How would you describe the missiles to someone who is not familiar with how it’s different from other shipboard missiles? We always emphasize that this is a self-defense weapon, and it’s, I would say, one of the best missiles in the world in that category. We are happy to have it on board our ships and to maybe protect other ships as part of an integrated air defense system. Your frigates are built in Spain and are similar to Spain’s Aegis ships. Our frigates are quite similar to Spain’s Aegis frigates, but our ships have a low profile–20 meters lower than the Spanish frigate. Our ships have to be able to navigate in and out of our fjords, and pass under bridges. It’s very challenging to achieve performance because you want your sensors up as high as possible. Are you focused on existing or new programs? ESSM is a high priority. About half of our resources go into new programs, and half goes into the existing fleet. We have increased our focus on maintenance and spare parts to ensure that what we have works. We are also investing in strategic capabilities, such as new submarines, the P-8 and F-35. And there’s another area which has very high focus for us, and that’s our Special Forces.